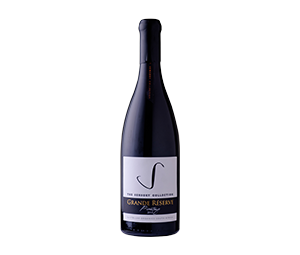 Fermented and matured in new French oak barrels for 18 months, this limited edition Grande Réserve Pinotage has a nose of fresh red cherries, wisps of cherry tobacco and pomegranate. The cherry tobacco follows through on the palate, which displays subtle tannins and an elegant smooth finish. Categories: Germany, The Sensory Collection Grande Réserve. Excellent with coarse game pâtés, bœuf bourguinon, lamb shanks, wild mushroom risotto or blue cheese with figs.